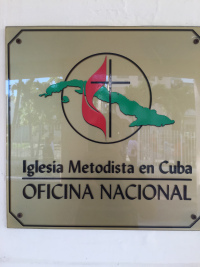 The Cuban Methodist Revival thrives …. Earlier this month I had the privilege of traveling to Cuba with a group from United Theological Seminary. We accompanied a mission team from Trinity Family Life Center, a United Methodist Congregation in Pickerington, Ohio, led by Rev. Tim Burden.